We are a family company whose goal is to help our clients recognize and honor contributors. We know that recognizing philanthropic donors with visible appreciation has a persuasive influence on fundraising objectives, stimulates donor response and raises commitments. Flexibility and adaptability are primary considerations when selecting the form and function of a donor recognition program – this is what makes the display successful for many years. 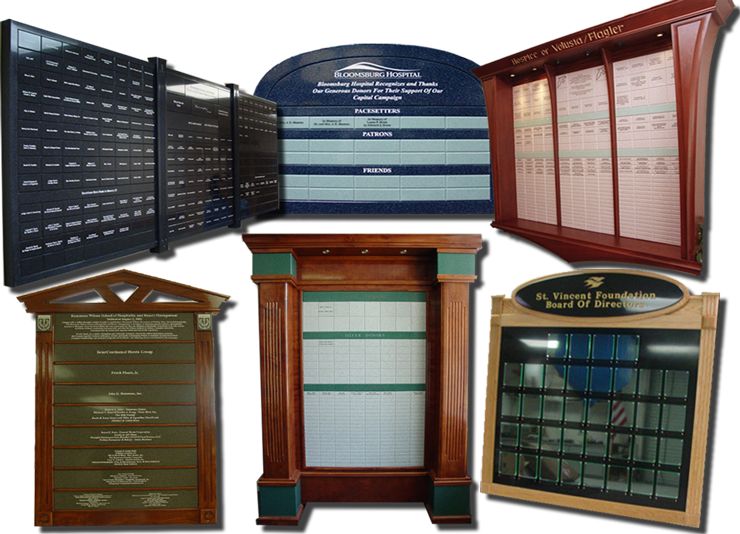 PDM Products offers many types of systems that work to fulfill the clients needs, whether it is to change their message frequently or to showcase a permanent display. 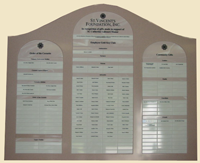 We coordinate the design and fabrication of individual donor plaques within a donor project to incorporate all levels of recognition. 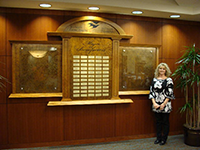 Timeless Elegance, Craftsmanship and Rich Solid Woods combine with precisely machined individual donor nameplates that can be adjusted to create stunning wall mounted or freestanding designs. Displays are designed that utilize many material options such as, Chemetal, laminates, acrylic and many other substrates which balance artistic expression and architectural influences. We will assist our clients by bringing their concepts to reality with many choices of materials, design elements and fabrication techniques. With our ability to engrave very large panels at one time, this system is a standard in recognition for closed campaigns. 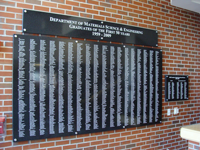 Engraving of thousands of names on one panel up to 48" x 96" is a distinctive way to permanently honor contributors. 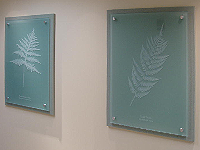 Brushed metal hardware can be used to mount an endless display of Corian, acrylic or metal panels. This system may be used to continuously add to an on-going display for many years, limited only by space available. Engraved and digitally printed options are available.